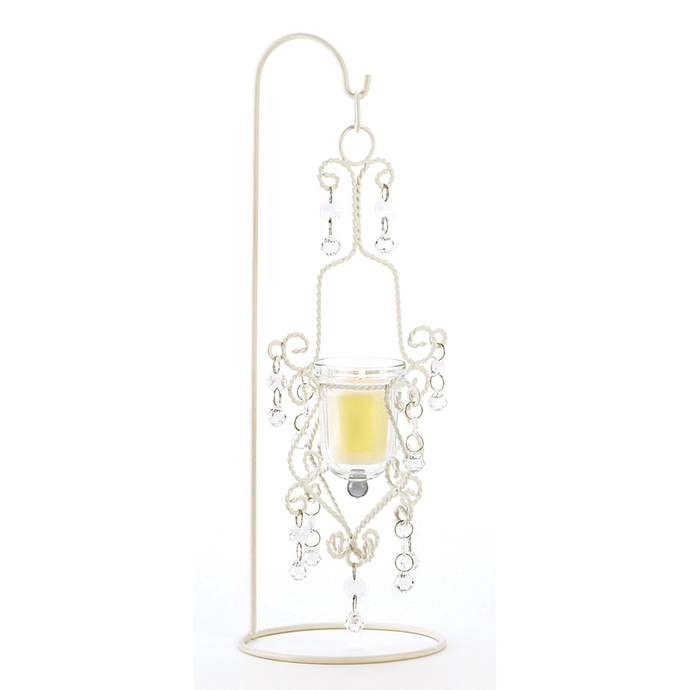 Recreate the romantic mood of a 19th century Parisian apartment with this stunning lighting piece. Meticulous metal scrollwork frame in rich ivory tones perfectly captures the essence of continental living. Delicate dangling beads reflect the candle's glow to create the ideal serene setting for any space. Candle not included. Iron with glass cup and plastic beads. 5.50"x 6.37"x 16.50" high. Iron with glass cup and plastic beads. Size: 5.50"x 6.37"x 16.50" high.